Your brake system is one of the most important systems your vehicle has; no vehicle is safe without brakes that function properly. If you notice any of the following symptoms, they could be a sign of brake problems. Have your brakes checked sooner rather than later so you can stay safe on the road. ● Your brakes make a clunking sound. So, what might these symptoms signal? If you’re paying attention, you’ll notice these symptoms, and you can fix small issues with your brakes before they give out while you’re driving or cause other problems in your vehicle. ● Your brake fluid might be low or contaminated. If it’s low, you can top it off. If it’s contaminated with water or air, you may have a bigger issue and need to bleed the system and replace it. ● Your brake pads may be worn out. Regular brake checks can help you avoid this, but brake pads will need to be replaced regularly. ● Your brake discs may be worn out. This can cause uneven wear on the brake pads, causing them to wear out faster too. Brake discs should be replaced on both or all four wheels at once. ● Your alignment may be off. This isn’t necessarily a problem with the brake system, but it’s closely related and can affect brake performance. ● Your suspension may be worn out. Again, this may not be a direct brake problem, but it can affect brakes and lead to further issues. 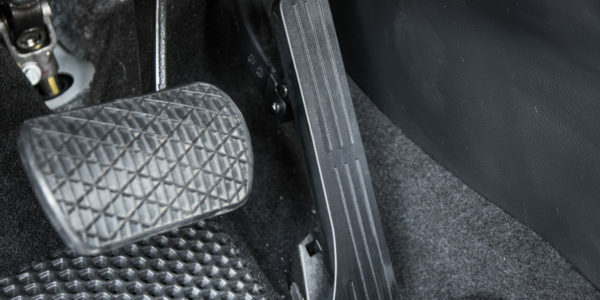 Remember that brakes are one of the most important safety features in your vehicle. Have them regularly inspected, and look for warning signs.